Parents wait with great anticipation for their child’s first tooth, but few think about the proper care that tooth may require even before it makes its first exciting appearance. Teaching your children about proper dental hygiene from an early age can make it a fun and regular part of their daily schedule. Even before your child has teeth, you will want to use dental wipes or a warm cloth to wipe their gums and mouth after nursing or bottle-feeding. This will prevent breast milk or formula (both of which contain sugars) from pooling on their gums and causing decay. Once your child has sprouted teeth regular cleaning after meals with a soft toothbrush will help keep them strong and healthy. 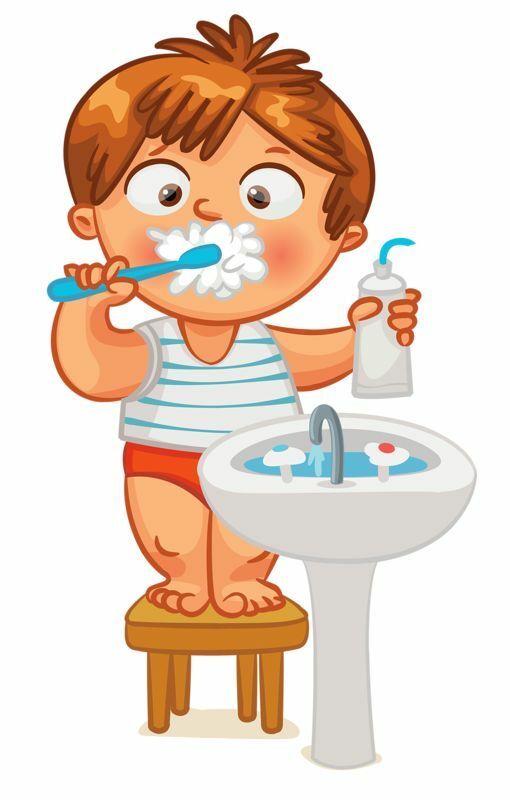 Teaching children to rinse their mouth after a meal when they cannot brush is also a good way to instill good dental habits. Since children can often be over zealous with brushing, you should guide them in proper techniques. Using up and down or circular motion is much more effective than vigorous side-to-side motions, which can cause gums to become sore and inflamed. Children should also brush for at least two minutes. If your child has trouble with this task, there are several timers or apps available, which can make it more fun and help them brush for the right amount of time. Flossing can take some dexterity and children will not be ready to do it on their own until they have the fine motor skills to accomplish the task. However, you should introduce flossing as soon as children have teeth that are touching. This will not only help keep food and debris from building up between teeth but it will make flossing something that is familiar and expected. Starting with the soft cloth or wipes that are used for infants to the high-end electronic toothbrushes available for tweens and teens there is a variety of equipment for every stage of your child’s dental development. Musical toothbrushes or those that light up can help the child who is reluctant to brush and flavored floss is a wonderful way to introduce floss to a child who might be hesitant to try it. Another important component is early and consistent dental care. Some dentists will see infants prior to their first tooth but in most cases, you should schedule an appointment within six months of the first tooth breaking through the gums. Appointments at this age will be short and ensure that teeth are developing properly. As children grow, you can expect to see cleanings and x-rays added in, but with early dental exposure, children should feel less anxious and see their dentist as a friend and not someone to be feared.